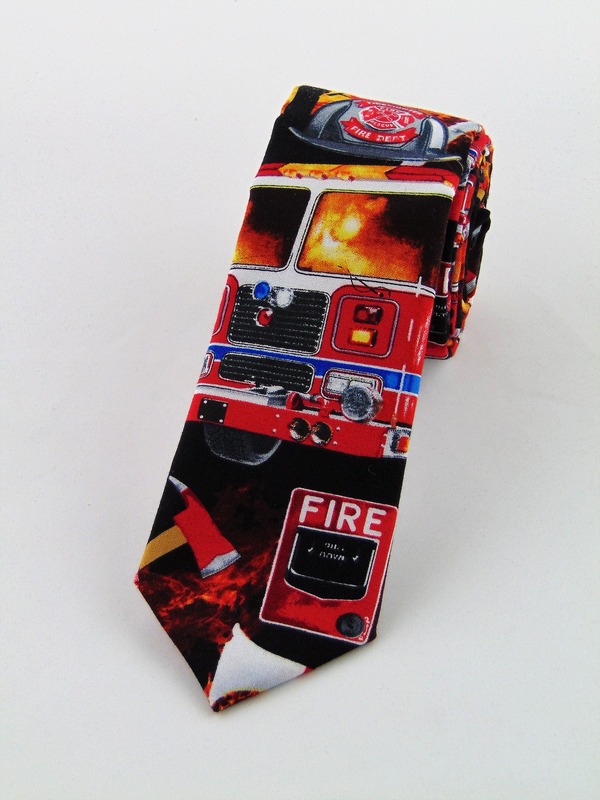 Boys Ties – Childs Fire Truck Neck tie 2.5" x 48"
Any child will love this fire truck tie. Fits most boys 8 to 13 years of age. 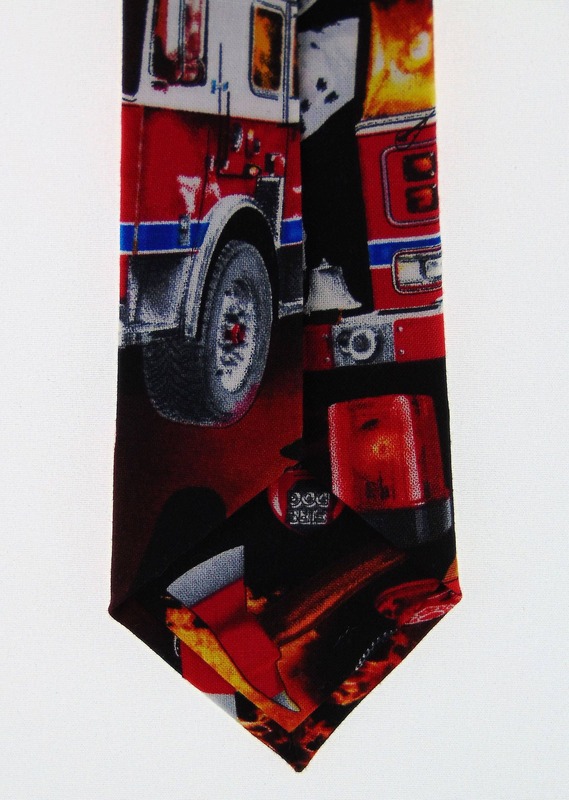 Tie colors black, red, yellow, blue, white, gray. 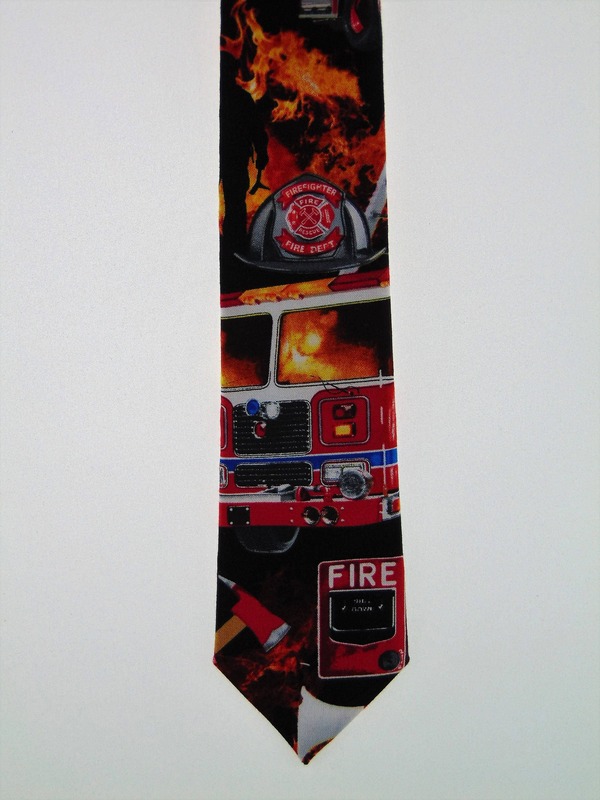 This tie can be made as an adult tie length and width upon request. Expertly hand-made from 100% cotton. If you require a custom length or width, please contact us. Ships within 2 business days. Made in the USA.